When you need to make a quick jaunt across town and follow it up with a trip into the mountains, it’s hard to argue with the versatility of a crossover SUV. 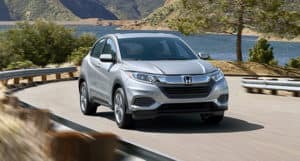 That’s why the Honda HR-V has become a favorite among Colorado drivers. With dynamic folding seats, an impressive engine, and eye-catching style cues, the HR-V is the perfect blend of sport and utility. 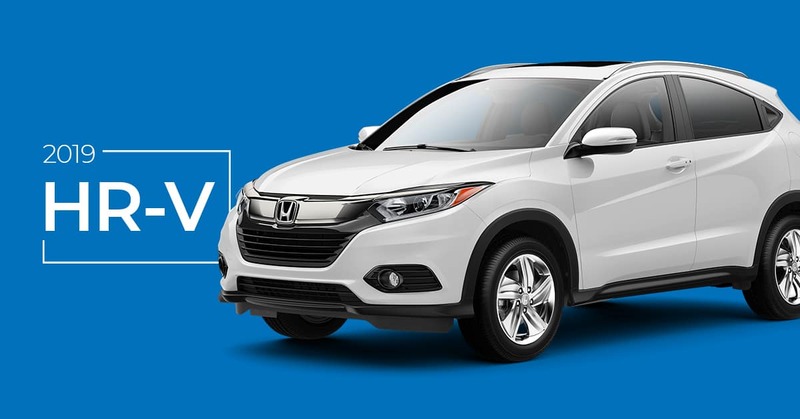 When you visit our Honda dealership in Fort Collins, you can see for yourself just how great the HR-V really is! The 1.8-liter four-cylinder engine offers a generous 141 horsepower. Paddle shifters are available, offering drivers in search of a more engaged driving experience greater control over the sporty HR-V. But that power doesn’t punish your fuel economy, the HR-V gets great gas mileage in town and on the highway, so you’ll save money on gas every month. The engine’s continuously variable automatic transmission offers hassle-free shifting even at higher speeds, providing you with a smooth driving experience. Complementing the engine is the HR-V’s responsive steering and handling. It’s well suited for long drives through the hills or for dodging your way through tricky highway traffic. Driving a crossover doesn’t mean you have to compromise on storage space. The HR-V boasts an impressive amount of cargo space in spite of its sleek exterior. This might be a sub-compact SUV, but it’s got plenty of space. Lower the second-row seats, and you’ve got storage for objects up to eight feet long! The HR-V boasts an impressive 58 cubic feet of cargo space, and can even offer up to four feet of vertical storage space. That’s all thanks to the second-row Magic Seats, which can be raised, lowered, and split to suit your storage needs. With a high roofline and large doors in the front and rear, you’ll find it easy to slip in and out of the HR-V no matter where you’re seated. You can comfortably seat up to five in this crossover SUV, meaning you can bring your friends, family, and pets along with you in comfort and style. The 60/40 split in the second-row seats means you can bring passengers and your gear along with you with ease. With cloth and leather trim options available for the seats, you can find the right fabric for your ride, and the available heated seats ensure that you’ll stay comfortable all year-round. 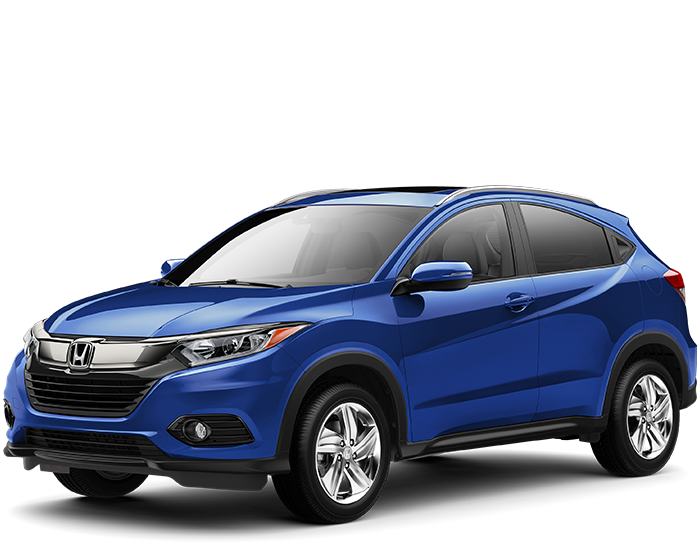 Reach your destination safely and securely with the numerous features of the Honda HR-V. The multi-angle rearview camera offers you greater awareness of your surroundings as you back out of packed parking lots. With Honda Lane Watch, you can make those right-hand lane changes in confidence. When you signal to go right, a camera display appears on the infotainment system so you can check if it’s clear. The optional Honda Satellite-Linked Navigation System makes it easy to stay on track and get to your destination on time and in style. 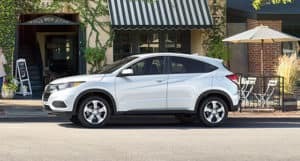 With it’s Eco Assist features, Bluetooth connectivity, reliable engine and spacious seating, the Honda HR-V is great for your busy Colorado lifestyle. Whether you’re exploring downtown Loveland, commuting through Wellington, or taking a trip to Longmont, you’ll enjoy every minute of your ride in this crossover SUV. At Markley Honda in Fort Collins, we offer competitive financing options that make it easy to get into a new HR-V today. Then you can maintain your investment with our auto body shop, glass repair center, and service department, which all use factory OEM parts. Visit our Honda dealership today or connect with our sales consultants to ask about pricing and availability.